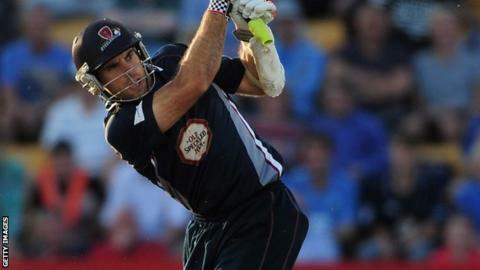 Batsman Kyle Coetzer will captain Northants for their defence of the Twenty20 title they won last year. Last season's one-day captain Alex Wakely has been ruled out for the season with a ruptured Achilles tendon. That means 30-year-old Scotland captain Coetzer, who missed last season's final win against Surrey with injury, will lead the side in the 2014 T20 Blast. "I am very excited about the challenge of captaining the side in defence of the T20 title," he said. "We had a fantastic time in the competition last season and hopefully we can repeat that again this year. My previous captaincy experience should stand me in good stead." Coetzer, who averaged 30.63 in the T20 competition last year, will skipper Scotland in a one-day international against England on Friday. Northants head coach David Ripley said: "Kyle is a very level headed lad, has a consistent personality and he will continue Alex's calm style of captaincy. "He has also captained Scotland in T20 cricket and we will benefit from that experience." Northants begin their T20 campaign against Yorkshire at Headingley on Friday, 16 May.